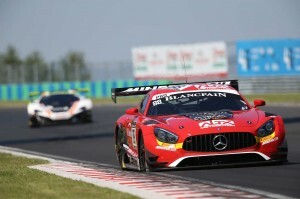 Felix Rosenqvist and team-mate Tristan Vautier (#88 AKKA-ASP Mercedes-AMG GT3) netted a top five result in the penultimate round of the Blancpain GT Series Sprint Cup season in Budapest this weekend, but were left with a bittersweet feeling having started the race on the front row. Rosenqvist and Vautier arrived in Hungary buoyed by a sensational recovery that saw them finish second in the 24 Hours of Spa last month, and duly delivered in style as racing commenced at the Hungaroring. After topping the Q1 segment of qualifying, Vautier handed the car over to Rosenqvist for the Q2 and Q3 sessions, the Swede throwing in the fastest lap of the weekend to claim pole position for Saturday’s Qualifying Race. The Qualifying Race then went largely according to plan, Rosenqvist taking care of the opening stint to defend the lead until the round of pit stops. The #88 crew lost one position in the pits, but Vautier held on to second to secure a spot on the front row for Sunday’s Main Race. As the field headed into Turn 2 in the decider, however, Vautier – in charge of opening stint duties this time around – got ran out wide, losing crucial ground. Rosenqvist took over at the halfway stages, and had to settle for fifth in the 35-car field at the chequered flag. 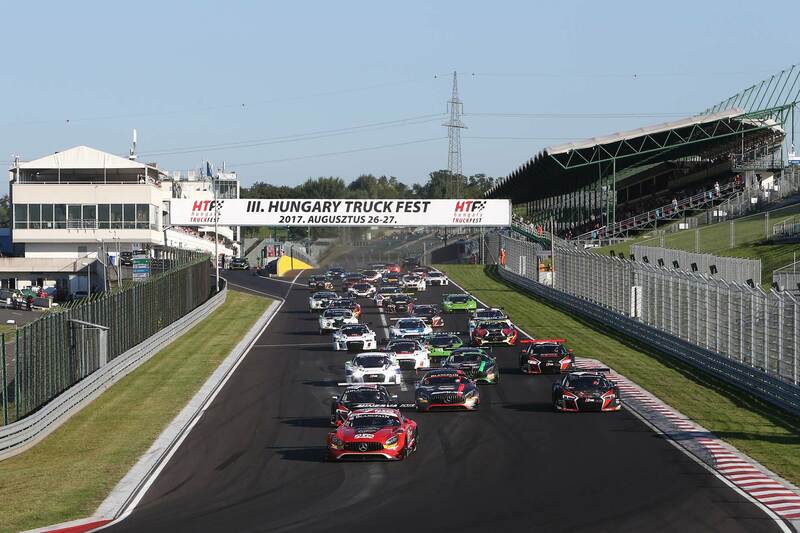 The Hungaroring race completes the busiest ten days of Rosenqvist’s career. Last weekend, he scored a point on his DTM debut in Moscow, Russia, before travelling straight on to Britain to conduct three days of Formula E testing at Donington Park from Tuesday to Thursday (where he set the second-fastest lap overall). Rosenqvist then headed east for Budapest, arriving in the city on the eve of the Blancpain event. Felix Rosenqvist will next be back in action at Germany’s Nürburgring on September 9-11 for another round of DTM racing with Mercedes-AMG. One round remains in the Blancpain GT Series Sprint Cup; the finale in Barcelona (Spain) on October 1-2. Update: following the race, WRT Audi pair Laurens Vanthoor/Frédéric Vervisch – who had originally finished second – were handed a 30-second time penalty for an unsafe release during their mandatory pit stop. As a consequence, Felix and Tristan Vautier were promoted to fourth place.